Medicare and Medicare Supplement Insurance, Medigap, Part A , Part B Insurance in Norco California - Speake Insurance Services, Inc. The best time to check into Medicare and/or Medicare Supplement Insurance (Medigap) is before you are eligible for Medicare. If you are nearing age 65, the choices you make now can help you in the future. But choosing the correct supplemental insurance to meet your needs can be confusing and overwhelming. Fortunately, our trained agents are committed to helping you sort though all the options available. Everyone 65 and older is entitled to the basic Medicare coverage, but typically it only covers about 64 percent of the annual health-care costs. Added to the expense not covered by Medicare or Medicare Supplement Insurance, there are deductibles, co-payments, and coinsurance to pay. This is why many choose Medicare or Medicare Supplements and at Speake Insurance Services, Inc., we can assist you in your California insurance coverages. California Medicare and Medicare Supplemental Health Insurance has a wide variety of plans and is organized alphabetically with each plan designated with a single letter. Plans are designed to help with the cost of deductibles, co-payments, and coinsurance. Some plans offer prescription, vision, or dental coverage. The different plans offer the flexibility of choosing your own doctors and hospitals that accept Medicare patients and specialists, without referrals. You have the freedom to travel and take your coverage with you anywhere in the United States. 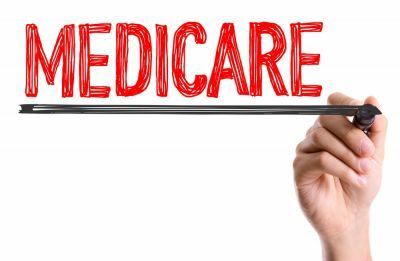 Rates for Medicare or Medicare Supplement Insurance can vary greatly between different carriers and are usually based on age, location, gender, and health. You don't have to sort through this alone, our agents at Speake Insurance Services, Inc. are committed to searching for the best rates and coverage which are affordable and meet all your needs.